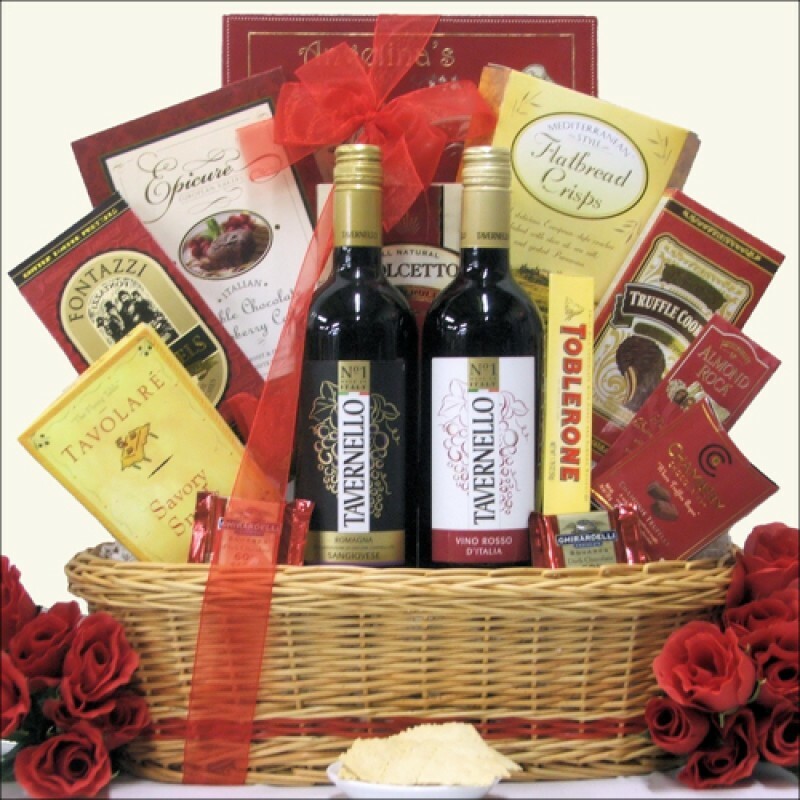 Bring a little bit of Italy to them when you send this Italian Wine and Gourmet Foods Gift Basket. 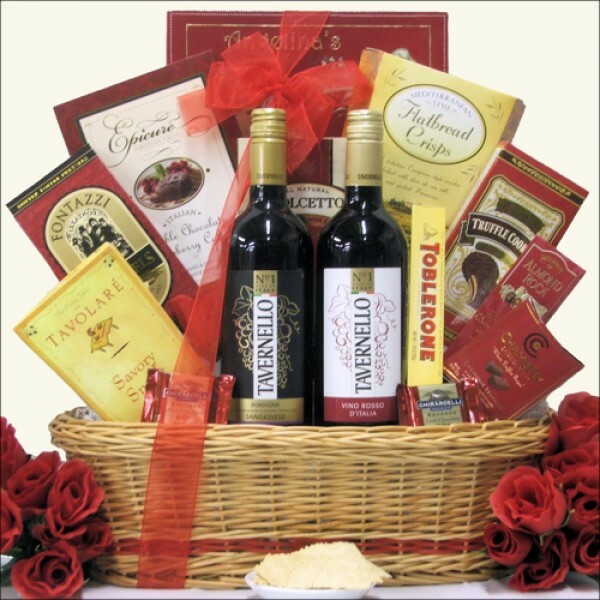 This basket features Tavernello Vino Rosso and Sangiovese Red Wines both of which are a #1 Selling Brand in Italy. To compliment these wonderful wines are many fabulous Italian treats including Italian Chocolate Raspberry Cake, Toblerone Milk Chocolates and Dolcetto Chocolate Filled Wafer Cookies and much more.